JAAG is happy to advise that the Minister for Planning has finally approved Amendment C122, which implements the St Kilda Road South Urban Design and Land Use Framework through applying permanent controls for the St Kilda Road South Precinct. Amendment C122 came into effect when notice of the approval was published in the Victoria Government Gazette, on Thursday 18 October 2018. It has been a long process to reach this important stage in strategic planning for the St Kilda Road South Precinct. To read about the development of The Framework and the interim controls click here. Modified plans have since been submitted to Council reducing the building to 27 metres (8 storeys), reducing the dwellings from 17 to 13 and a number of revisions to balconies and car/bike spaces. The 20-storey tower built across train tracks in Chapel Street, Windsor is in doubt after it was refused a permit by the Victorian Civil and Administrative Tribunal. After an eight-day hearing in July 2018 over the proposed mixed use development at 24 Chapel Street by SMA Projects, the tribunal ruled the area, which is “mildly grungy but also pleasantly edgy”, similar to Fitzroy’s Brunswick Street, would be uncomfortable with a modern tower next to a heritage streetscape. At 48 & 50 Alma Road, St Kilda – Council has taken owners to VCAT for non-compliance matters relating to backpackers planning/noise issues. Council refused a planning permit for two storey studio at 48 Alma Rd. A Council information session was held on 27/11/17 attended by JAAG committee members. Planning Officers took note of the various planning concerns which included overlooking, waste management, screening of equipment on roof, lack of on-site bike parking, car park dispensation and requested that the applicant address this issues. Revised plans were submitted in July 2018 responding to the concerns raised by objectors. A revised planning permit was approved in August 2017 to restore Virginia House (3 bedrooms) and build 10 x 2 bed apartments on the site. 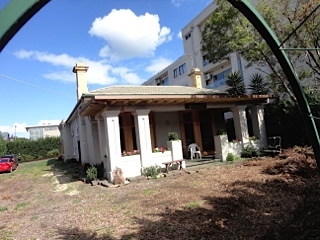 Property for sale by expressions of interest which closed on 24 November 2017. To date it has not been sold. To read all the history behind this planning application click here. 54-60 St Kilda Road, St Kilda (corner Charnwood Rd, former Royal Flying Doctor Service). “The Charnwood” display suites now available for viewing on site. The Victorian Civil and Administrative Tribunal considered an application to redevelop this site on the east side of St. Kilda Road with a 10 storey (103 unit) residential/commercial building. The proposed building was reduced before the hearing to a 9 storey (93) unit building. The application was opposed by affected residents of Charnwood Road and Octavia Street and the Port Phillip Council. On 14 August 2017 VCAT refused the application for a 9 storey building, but granted a permit for a 7 storey building, subject to conditions (permit for 2 years). The tallest section of the building will be at the St. Kilda Road interface. The building will ‘step down’ towards the east and the Charnwood Road residences, and end with 2 storey ‘townhouses’ with setbacks from them to the nearest Charnwood Road residence of between 6.1 and 8.5 metres. There will be greater setbacks at higher levels. VCAT based its decision largely on the existing provisions of the Port Phillip Planning Scheme. However, it also took into account the St. Kilda Road South Urban Design and Land Use Framework (Amendment C122), still in draft form. JAAG and the Council have been working on the Framework for a number of years. VCAT pointed out that the Framework articulates a vision for a graduation in building heights along St. Kilda Road, with the tallest buildings being at the Junction. As part of this vision the Framework specifies a discretionary height limit of 6 storeys for the site, and a 4 storey limit for the terrace of heritage shops to the south. VCAT formed the view that a 9 storey building would not contribute to achieving an overall consistency of scale within the St. Kilda Road streetscape, which is a test which must under the Framework be fulfilled if the 6 storey limit is to be exceeded. It also considered that a 9 storey building would not respect the height of the heritage shops. On the other hand, it felt that a 7 storey building would be a more sympathetic response to the heritage shops. JAAG believes that VCAT’s decision will be a useful precedent when other development applications are made for the east side of St. Kilda Road. JAAG is also pleased that VCAT decided that it was not reasonable to add parking by visitors to the site to the already high demand for on street parking in Charnwood Road and Charnwood Grove . All visitor parking must be provided for in the building. 31 objections were received by Council for the planning application for a 113 bed backpackers with building works including part demolition at 14 Punt Road, Windsor. Further to hearings in January and March and requests for detailed plans, VCAT approved the permit at the former Tai Ping cafe at the corner of Punt & Nelson. Work commenced but stopped in September 2018 due to a legal matter regarding payment to builders. Expiry clause – development must be completed within 4 years of issue of permit i.e. May 2021. JAAG has made a submission to the MRDAC which has been appointed to report on the application of zones that provide for residential development (in metropolitan Melbourne and the four regional cities of Bendigo, Ballarat, Geelong and Latrobe) in the context of managing Melbourne and Victoria’s residential growth in a sustainable manner and improving housing affordability. JAAG’s submission can be viewed here MRDAC submission.